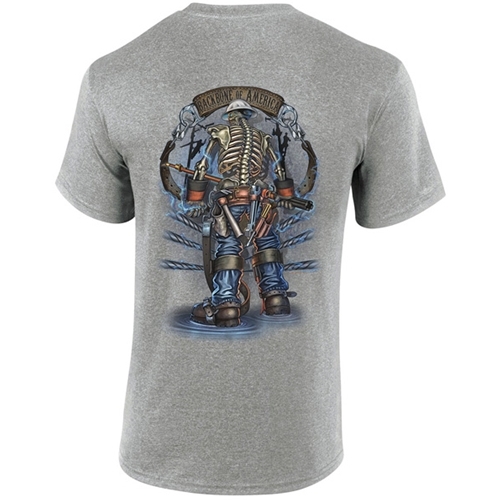 "Backbone of America” lineman's short sleeve tee. Multi-colored back, and chest design. Preshrunk 90% cotton / 10% polyester. "Backbone of America" Gray Short Sleeve Tee CLOSEOUT has a rating of 4.3 star based on 6 reviews.